What can you do with Mobile Conquesting? Mobile Conquesting is one of our most popular products and you’ll see why! 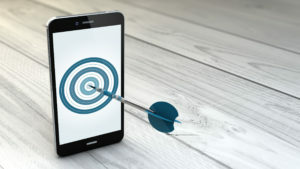 As consumers spend more of their online time on smartphones and tablets, it’s important to include a mobile strategy in your digital marketing. Our Mobile Conquesting product allows advertisers to use both location based targeting combined with demographic and behavioral targeting to reach desired consumers on their mobile devices. How It Works: We place your ads across premium mobile apps and mobile web browsing sites within the area you want to reach. We offer dynamically updated ads that show the user the distance they are from your location or if you have multiple locations – the distance to the closest. We can even “geo-fence” around your competitors locations down to a 500 feet radius. We have thousands of categories to choose from and even weather triggers. Our Mobile Conquesting platform also gives you the opportunity to use expandable ads. Each expandable ad can have up to 3 different call-to-action buttons within the ad unit. This means you are able to offer multiple click conversions on your ad to measure alongside the conversions happening on your website. Contact Vici today for a free consultation on how we can help you include Mobile Conquesting in your marketing strategy.